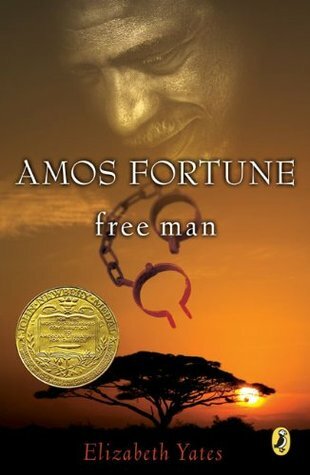 Amos Fortune: Free Man by Elizabeth Yates is the true story of an African man who became a slave, freed others, and then he, himself, became free. It begins in Africa at his capture and follows him through his days of slavery. This book was the second one we read for Notgrass History, and it was one that I had never read before. I had read Mountain Born, also by Elizabeth Yates, which I loved very much. I was so happy to hear of another book she had written and, once I finished it, I felt it was worthy of the Newbery Medal. The best part about it was the character of Mr. Amos Fortune. Even though he was ripped from his homeland and family and forced to serve others who spoke a language he could not understand, he believed all things were just as they should be. He learned to read from the Bible, and believed its words. 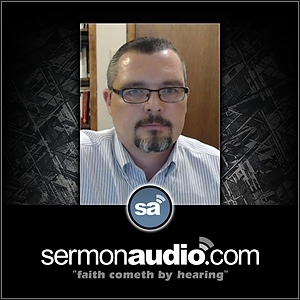 He never felt that he was a victim to his circumstances, he believed God ordained all things. With this knowledge, he labored to be the best tool for God that he could be. I have to wonder, how much better would America be if its citizens believed that God was Sovereign over all, and we are His tools? No more entitlement issues, no more victims of a cruel life; but rather, “He hath done all things well”. (Mark 7:37) I think that would change everything. Ah, well, I can dream. I encourage you to meet Mr. Fortune, visit Africa and Massachusetts in 1725, and live life through the eyes of a slave. You won’t be sorry. 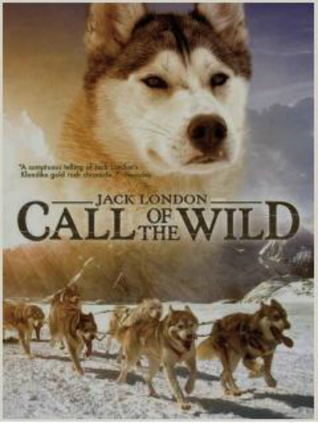 I had only read Jack London in high school, when I read “To Build a Fire” in my literature textbook. I picked up Call of the Wild at a thrift store because of its place as a classic. Once I decided to read it, it didn’t take long. It’s short and exciting. This book reveals the harshness of the world, without the temper of grace, which, after reading about Mr. London’s life, I can see why. He didn’t seem to know the Lord at all. Despite his talent for the written word and his enormous success, he did not know happiness. I liked the book for its entertainment value, but it was a bit of a “downer”, so I do not recommend it if you only like happy endings. 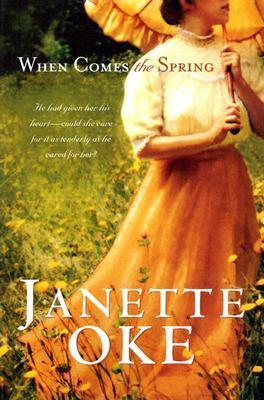 When Comes the Spring by Janette Oke is the sequel When Calls the Heart which I reviewed in Part 5. The first book sort of left me hanging on a few things so I went ahead and read this book. This one wasn’t as exciting as the first, but I enjoyed because I like Mrs. Oke’s writing. It had been years since I had read it, so I had a fun time “seeing” the characters again and enduring the harsh winter (snug under my own covers!) in Canada’s Northwest Territory. Brady by Jean Fritz is a book I’d like to share with everyone! 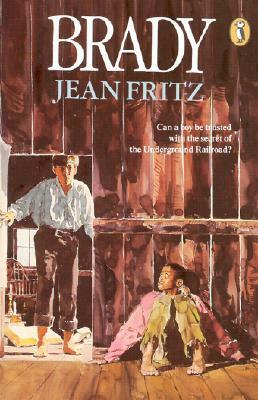 I love Jean Fritz – she’s another author with whom I am familiar – and this book is one of her best. (Also try The Cabin Faced West.) This was the third book for our history course. Brady is a young man who stumbles upon a secret involving the underground railroad. But it’s much more than a story of slavery: it’s a story of family, of God, of standing for right when you’re in the minority, and of a boy who becomes a man. 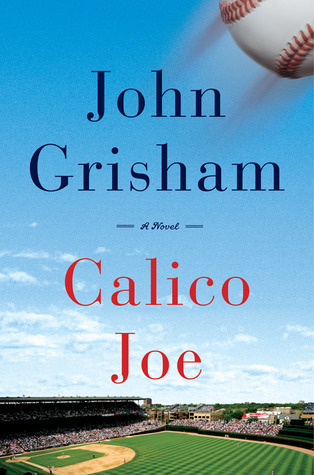 Calico Joe by John Grisham is not a legal thriller. It’s about a dying baseball hero and the pitch that he threw that changed lives, and baseball itself. 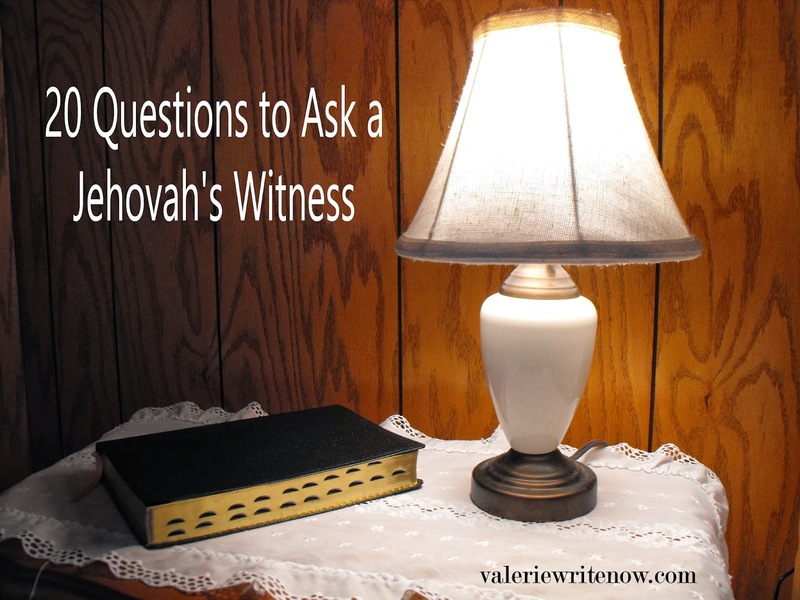 It’s a redemptive story (my husband’s opinion) and it’s a fun, quick read. If you’re a baseball fan, you will love this book! 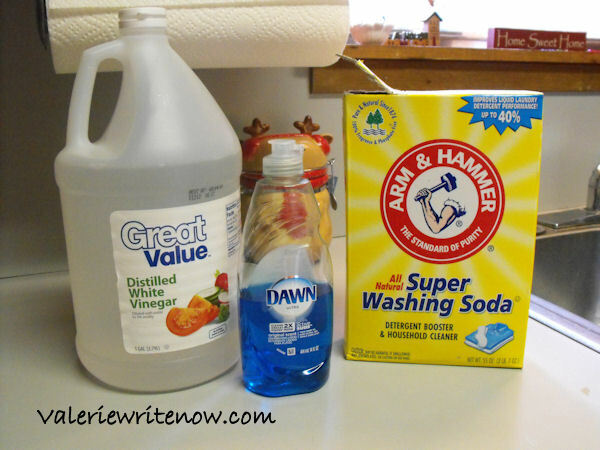 I enjoyed reading about the White River and towns in my home state with which I am familiar. Mr. Grisham cannot, of course, do justice to the beauty of the Natural State, but he came pretty close. 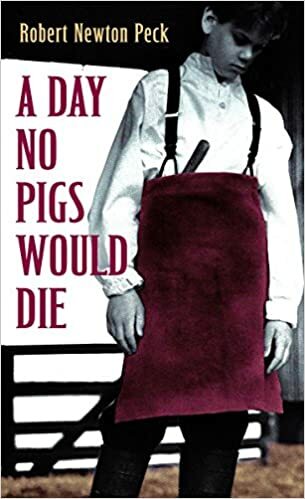 A Day No Pigs Would Die by Robert Newton Peck is a book every young person should read. It’s the moving story of a young man, his Shaker family, and the pig farm where he grows up. Like Brady, it is also a boy-becomes-a-man story, only much grittier. But you don’t have to be a country boy (or girl) to relate to Rob in this story, you just have to have a beating heart. Boys will probably like this book better than girls because there are some gory (farm related) details. You don’t want to miss this book. 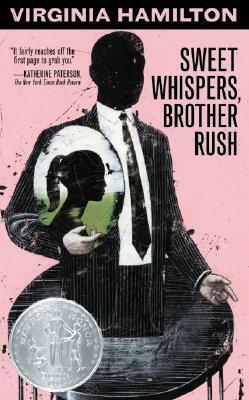 I was so excited to finally get a copy of Sweet Whispers, Brother Rush by Virginia Hamilton! Mitchell showed me how to access Overdrive e-books from our library on my iPad, and my reading life hasn’t been the same! When I was about 15, I read a recommendation for this book in Gladys Hunt’s book, Read for Your Life, which is a book of book recommendations for teenagers (now called Honey for a Teen’s Heart). Her synopsis fascinated me, but unfortunately, I could not find a copy at my library or through inter-library loan. There was no Amazon or the like back then, and certainly no e-books, so I was out of luck. I have yet to find print copy at any library in any place we’ve lived, and yes, I looked! Thanks to e-books on Overdrive, my teen wish has come true! Even though a ghost appears on the first page, it’s blended in with reality in an almost seamless, believable way. There are some very human characters in this book, and there is one or two referenced to female issues that would make it more suitable for older teen girls rather than younger ones. I doubt boys would like it at all. Its message is never give up, even when life doesn’t go the way you think it should; have compassion for others and their struggles; and that even a signature can make a difference in someone’s life. It is somewhat difficult to read because of the African-American dialect, but I thought that added authenticity to the story. Bound for Oregon by Jean Van Leeuwan is another book we read for history, and another that was new to me. I’m so glad I read it! It’s told by a young girl whose family packs up and moves from Arkansas (yay for the Natural State!) and goes west, all the way to Oregon…well, they try. Will they make it? Follow Mary Ellen and her family and find out. I could relate to the goodbyes Mary Ellen tearfully said, to those last, long embraces of loved ones, as they set off on the trail. The heartache of separation spans the ages; a timeless pain that most of us can understand. The journey is hard, but it’s worth it. 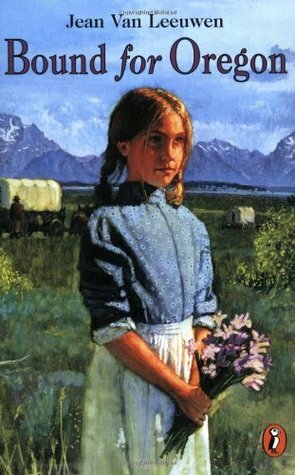 This book is based on the journals of a girl who rode the Oregon Trail, which adds to its depth. 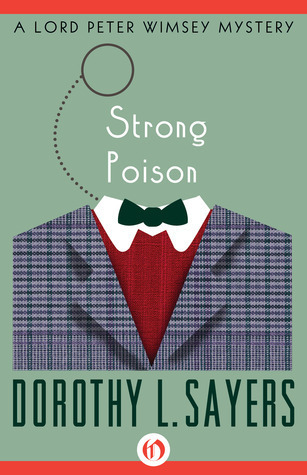 Strong Poison by Dorothy L. Sayers is touted by Gladys Hunt in Honey for a Woman’s Heart as being one of Sayers’ best. My take? It was so-so. I liked it, but not as much as I did The Nine Tailors, also by Sayers. I do enjoy Lord Peter Wimsey and if you haven’t made his acquaintance, why not do so? There are many Peter Wimsey novels by Sayers and I think all of them would be worth the time to read. I may read Whose Body? next year. 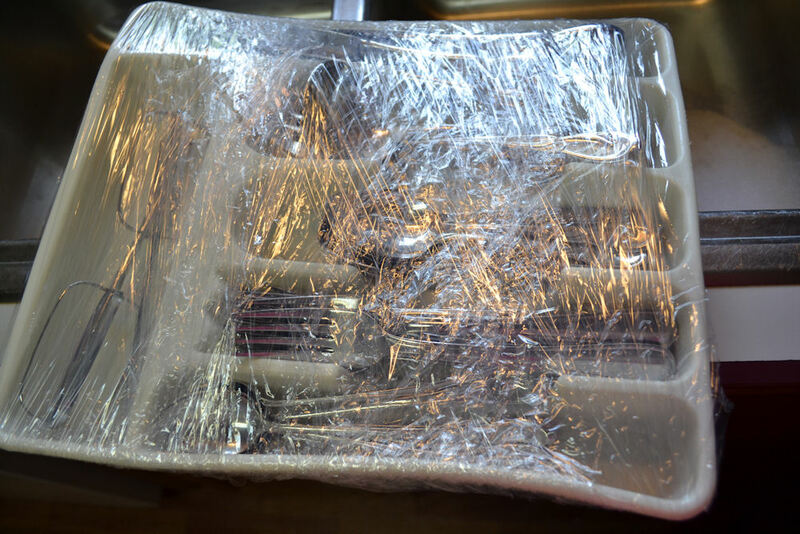 I don’t know…I’ll let ya know! That, my friends, completes my year in review…up to December 11th anyway. 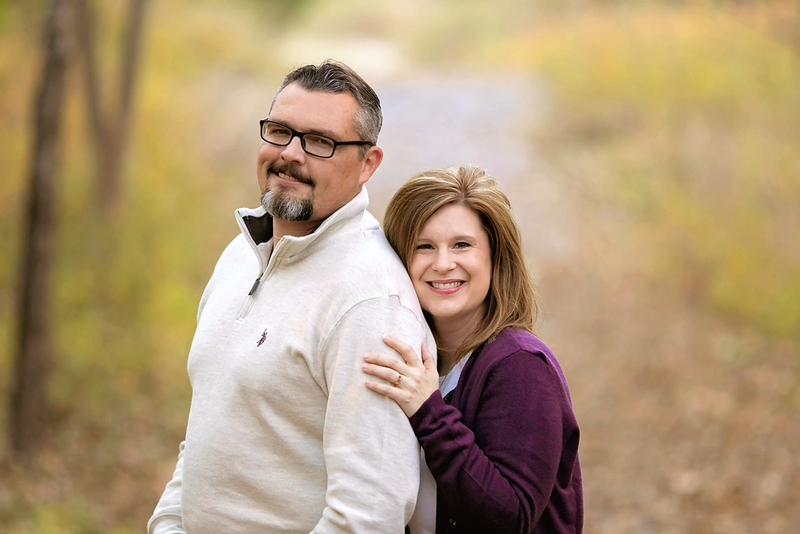 I am in the middle of By His Grace and For His Glory by Tom J. Nettles. It’s a book on the Doctrines of Grace down through the centuries. It’s good, but I admit that it tests my theology knowledge greatly. I’m no seminarian so it’s taking me a while. I plan to review it next year. I am also reading Knowing God by J. I. Packer. It’s excellent, and not nearly as technical as By His Grace and For His Glory. I hope to finish it before December 31st, but, this is a busy month, so we’ll see. We are also reading Across Five Aprils by Irene Hunt for history right now. It’s a wonderful book that I read when I was about 13, but boy! I’m enjoying it all over again! I hope to review it soon. I just finished reading Passin’ Through by Louis L’Amour, so look for that review soon, too! Thanks for joining me for my “year in review” series. Books feed the soul, inspire courage, and knit hearts one to another. I have enjoyed reading the book reviews. I plan to follow up by reading a number of your recommendations. Thanks!